With the large number of redundancies, there are more people looking for jobs and fewer jobs actually available. 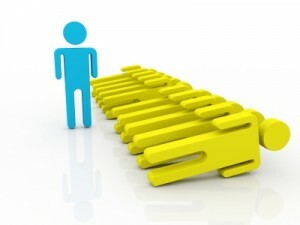 In such competitive times, you need to try harder to stand out against the competition. Having been in this situation myself a few times over the years, I managed to overcome the odds and not only get a job but also have the ability to choose between a selection of roles. Below are some of my ideas on how to improve your chances of landing that dream job. Before I start I think it’s worth stating that a real interest in programming is a sort of a prerequisite. A lot of my advice will take a considerable amount of time, which will be much easier to handle if you have a genuine interest in this area. Learn about Design Patterns and development best practices. Whatever problem you are solving, the chances are that someone out there has already solved it in a much more elegant way than you could. Learning about best practices can help you avoid making common mistakes and improve your standard of coding in general. Learn how to use Google/resources properly. You might laugh at this one, but knowing the best way of searching on Google for help with a problem or for some extra information can be invaluable. Also don’t be afraid to post to developer forums/mailing lists, or even email the people in charge of a project for some help. Gain a widely recognised accreditation. My personal recommendation would be The Sun Certified Java Programmer program – it would help give potential employees some reassurance into what your current standard of programming is. Learn about Agile software development – I believe that an Agile approach is the best way to produce software and even if you don’t end up using it, you could incorporate some of the best practices into your role and impress your new boss. Join and contribute to an open source project – preferably something that has a fair amount of developer activity and something that you find interesting and maybe even beneficial to your future options, some suggestions would be Hibernate, The Spring Framework, Selenium. I think this would score a lot of brownie points with potential employees. Starting a blog has a number of other benefits also, such as building relationships with other people in the industry and increasing your level of visibility. Keep up to date with the latest development related news and learn and experiment with new technologies. See my links section for more places to find information. Your C.V is effectively your sales pitch to your potential employers, spend time on making it as clear, concise. Also, ensure that your strengths and full range of technical skills are adequately highlighted.